I left Vietnam in April of 1971 after serving 13-months with Charlie Troop 1/9th, 1st Air Cavalry Division. I recall how I felt when South Vietnam fell four years later in April of 1975. Those feelings rekindled as I watched the documentary “Last Days in Vietnam”. The truth is that our military won the war, but our politicians lost it. The Communists in North Vietnam signed a peace treaty, effectively surrendering. But the U.S. Congress didn’t hold up its end of the bargain. During the chaotic final weeks of the Vietnam War, the North Vietnamese Army closes in on Saigon as the panicked South Vietnamese people desperately attempt to escape. 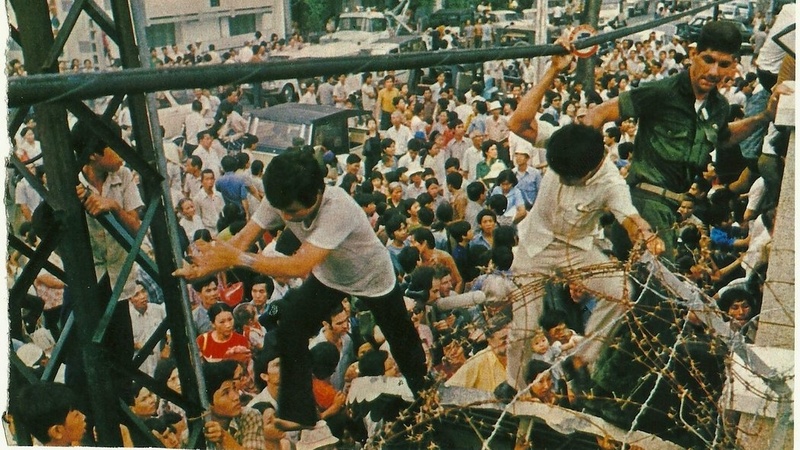 On the ground, American soldiers and diplomats confront the same moral quandary: whether to obey White House orders to evacuate U.S. citizens only–or to risk treason and save the lives of as many South Vietnamese citizens as they can. The entire U.S. presence was ordered to be out of the country within 24 hours. As word spread, the Embassy was swarmed by locals claiming to have American friends; many were shepherded in, most were kept out by armed guards. 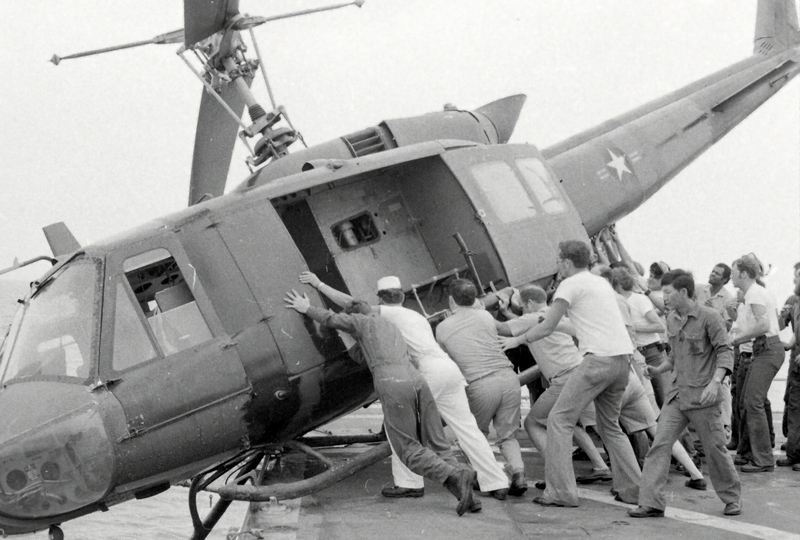 Sailors push a helicopter off a landing platform of the U.S.S. Kirk to clear room for more helicopters dropping off refugees. Rob, Al and I watched this on Public TV, it is gut retching.